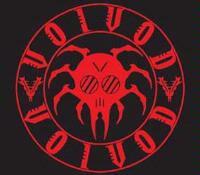 Voi Vod has always stood apart from the crowd. The French-Canadian mutants have been offering their own warped version of cybermetal since the early 80's and their crushing debut "War and Pain". Like some bizarre organism that morphs into new forms to keep its enemies at bay, the band has never stayed in the same conceptual place too long. Their albums have ranged from almost unendurably noisy ("RRROOOAAARRR") to coldly emotionless ("Dimension Hatross") to soothingly psychedelic ("Angel Rat"). In recent years, the group has been plagued by disaster and misfortune yet 2003 sees them escaping the gravitational clutches of their personal black hole and reaching a new height with the simply titled "Voi Vod". The record sees the return of their prodigal singer, Snake, who was present during their glory years, and the providential addition of Jasonic, a.k.a. Jason Newsted. Mr. Newsted, you may recall, played with a band by the name of Metallica. Well, with Jasonic's arrival and Snake's return, the band is energized once again. And once more they offer up something a little different. "Voi Vod" is 13 slabs of stripped down, rough and ready metal with a catchy, almost punk edge and the spacey aura for which the band is known. It's very elemental and organic stuff, easy to get into, but possessing hidden layers of sonic meaning. Piggy's distinctively dissonant guitar sound has never been better captured and Jasonic's pounding bass merges seamlessly with the clockwork drumming of Away. As for Snake, he retains the nasal tones that some find off-putting, but his singing and lyrics both emphasize the distinctive nature of Voi Vod's material. I'd also be remiss if I didn't mention the excellent packaging, featuring Away's artistic skills. Whether you're a new convert to the band or a long time admirer, "Voi Vod" should prove to be a dynamically uplifting assault of "space metal"! This hard-charging metal rocker is a good introduction to the new no-frills incarnation of Voi Vod. It's based on simple, driving rhythms that sink their hooks in deep. The guitar sound on the chorus is classic Voi Vod. No momentum is lost here, as this is one of the CD's top tracks. It has a really thick, Sabbathy feeling with plenty of Piggy's trademark dissonant guitar sound. The overall impression is rhythmic and heavy, with the song subtly switching tempos to keep the listener on his toes. There's just a hint of Jasonic's old band Metallica in the surging, nervous riffing that starts the track off, but it's completely submerged into the Voi Vod ethic. There's an odd mellow bit at the very end of the song. "Our leaders missed the point/Forced to dominate and destroy/it's not what people want/It's not what's called society"
This track has an almost punk feel with its staccato, chunky riffing and Snake's nasal vocals. It's a good example of how Voi Vod creates a hypnotic sound with repetitive, discordant guitar riffs and mechanical rhythms. The tricky "false" ending bleeds directly into "Rebel Robot". This is the album's heaviest and most obviously "metal" track. The riff is kind of a reversal of the one in "Real Again? ", linking the songs conceptually and sonically both. The tune builds in intensity and heaviness, finally reaching some really killer "cosmic" riffing that hails all the way back to the band's "War and Pain" days. Snake's lyrics inform us that "there's a little matrix in everyone". A bit of the band's psychedelic sound ala "Nothingface" comes across here, as the song begins with some jumpy, echoey guitar chords with a spacey sound. It then intensifies into a more rock-influenced track that I found a bit monotonous. The most "different" track on the record, this starts off in a very low-key, mysterious fashion with mellow guitar and subdued vocals. I didn't care that much for it at first but it has really grown on me. It mutates into a heavy, herky-jerky number a lot like the stuff on the "Dimension Hatross" album. One thing's for sure; you can't mistake this for any other band. The title is French for "flying cigars", which is a term for UFO's. It's an up tempo track with a really rocking feel alternating with sheer heaviness. "Flying cigars/A given name for UFOs/Flying Cigars/Fire this one and watch the show!" This is as close to filler as the album gets. It's got more of that "psychedelic" Voi Vod guitar sound from Piggy, but overall, it's not terribly interesting and Snake's vocals sound a little on the slurry side to me. Another hard-driving cut based on simple, catchy riffing. This gives the record a welcome injection of energy. This has got an odd cartoony sound to it, with Jasonic's heavy bass propelling it along. It's kind of like 60's monster movie music converted to the Voi Vod style. The cool lyrics describe a spaceship caught in the grip of an "invisible planet", and the music conveys that feeling as well. This is totally original. For my money, this is the best track on the record. It's certainly the heaviest and most energetic. It switches riffs frequently, and at about the 3:30 mark, it conjures up one of the most classic metal moments I've heard in a long time. It's a fragment of supreme heaviness and catchiness that I wish the band would have stuck with a bit longer....just outstanding! The album ends with this fine piece which kicks off with choppy guitar and then hits a very killer spacey riff that is one of the band's catchiest. The chorus is perhaps the most memorable on the disc. The lyrics seem to refer to the band itself with this couplet: "So we are ready for more adventures/ No crystal ball to see the future/Driven by a need to create/On every mile we ride our fate."